I live in the Caribbean so it’s pretty much hot all the time. Maybe it’s because of that but I love frozen desserts (I’m addicted to ice cream sshhhhh). I was raiding the freezer and found a bag of frozen blueberries and decided to try making a blueberry sorbet. Half the sorbet ended up plain and the other half was full of Limoncello goodness! Sorbets are yummy but when making without an ice cream maker, they take forever to set up properly. Okay I admit, I’m also a bit impatient. The sorbet with Limoncello came out a bit soft but that’s because of the amount that went into it. If you want a more frozen/hard sorbet, simply reduce the Limoncello to about 1/4 cup. 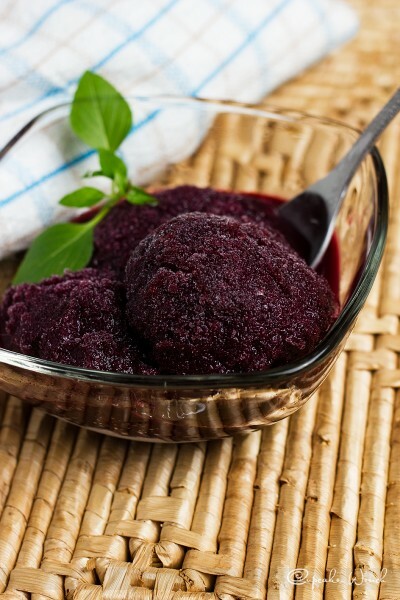 Purée the blueberries in a food processor. Empty into a sauce pan and add sugar. Place on stove on low heat and stir until sugar melts. Remove from heat and let cool. Add the lemon juice and Limoncello stirring to blend. Empty the liquid into a metal bowl and cover with plastic wrap. Place in the freezer and leave for about 4 hours. The outside will be frozen and the center still slightly slushy. Take out from the freezer and using a hand mixer, beat on low speed until all the frozen bits are broken down and smooth. Be sure not to keep it out too long or it would melt. Put it back in the freezer and leave overnight. 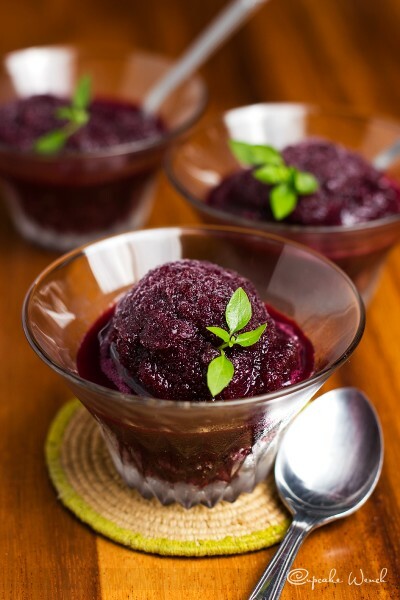 Wake up and enjoy your sorbet! A little story about my Mom	All Booked Up!